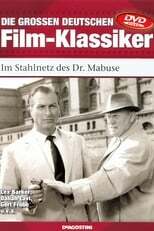 In this first sequel to the "Dr. Mabuse" films directed by Fritz Lang in the 1920s and early 1930s, the supposedly dead and buried Mabuse returns to his criminal activities, as his longtime foe Police Inspector Lohmann, a dauntless girl reporter, and an American - who may be an FBI agent, or maybe a Chicago mobster - investigate a series of gruesome murders connected to a maximum security prison and involving a minister who has written a book called "The Anatomy Of The Devil". As I generally greatly detest sequels, reboots and the like, especially of great filmic franchises created and led by outstanding filmmakers (ie., the Mabuse character and Fritz Lang) I initially had quite guarded reservations about seeing Reinl's version here. But it had significant strengths that made me quickly realize my fears were undeserved and that I, in fact, was in for a treat. The pace is whipcrack, the plot is intense and in Commissioner Lohmann, the villainous 'Goldfinger' (an excellent Gert Fröbe) pulls off a gritty cross between an Ed Asner and a Popeye Doyle-era Gene Hackman. 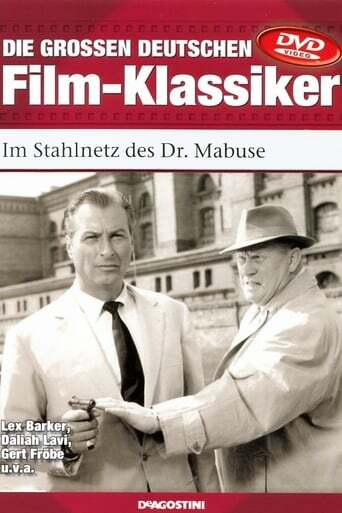 I love how one of the ways Mabuse resorts to do away with pests pays homage to Lang's 'The Testament of Dr. Mabuse' from three decades prior. It certainly made me wary of churches, one-legged men and even laundry workers, for crying out loud, and part of the fear the film brings across is because in the back of our minds, we know this is precisely how the Nazis operated, studying fluoride as a mind-control agent. If there is any negative I got from the film, the Berlin police department (good ol' Lohmann notwithstanding) seemed the most unintelligent and incompetent sleuthing force this side of Inspector Clouseau. Definitely recommended for fans of thrillers and spy films.